Cape Town - If you're planning a day visit to Kruger National Park (KNP) over the long weekend, you may want to pre-book your visit. South African National Parks (SANParks) advises visitors that they will be applying daily quotas at all entrance gates. “We realise some people might extend the Freedom Day long weekend to next week, thereby merging with it Workers’ Day holiday which is on Tuesday, 1 May. We therefore aim to optimally manage the volumes that we expect, as well as our visitors’ expectations. The three different time slots are aimed at improving the spread of vehicles and, as far as possible prevent unnecessary waiting periods at gates”, says the KNP’s communications and marketing manager, William Mabasa. The Day Visitor Quota for the Park is a management tool to prevent overcrowding the roads and facilities and is applied throughout the year. Full capacity is normally reached during long weekends and school holidays which will lead to some visitors being turned away. Visitors will be able to book up to 80% of Day Visitor Quota per gate via SANParks Reservations offices and online at www.sanparks.org. Pre-booked day visitors will get preference over non-booked day visitors at the gate but must ensure that they arrive within their booked time slots. Arriving outside the booked time slot will be seen as non-booked and therefore will not receive preference and could be turned away. These bookings can be changed as well through SANParks Reservations offices if need be. Mabasa also reminds visitors to read the permit which they receive at the gates because all the rules and regulations of the park are clearly stipulated on these documents. “Day visitors may not bring liquor as a result of the alcohol ban in public areas of the park. Further, visitors must please also refrain from committing other infringements such as littering, speeding and alighting from vehicles in places where this is prohibited in the Park. "These and other park rules are emphasised to ensure visitors have a safe and enjoyable experience, while not impacting other visitors, and hence must be adhered to at all times whilst in the Park." “We also advise guests to exercise caution when driving around areas undergoing major construction such as Skukuza Camp so as to avoid unnecessary accidents,” concluded Mabasa. Day Visitor pre-bookings are subject to a non-refundable booking fee of R41 per adult and R21 per child. Day Visitors who have pre-booked will still be required to pay Conservation Fees or use a valid Wild Card to enter the Park. 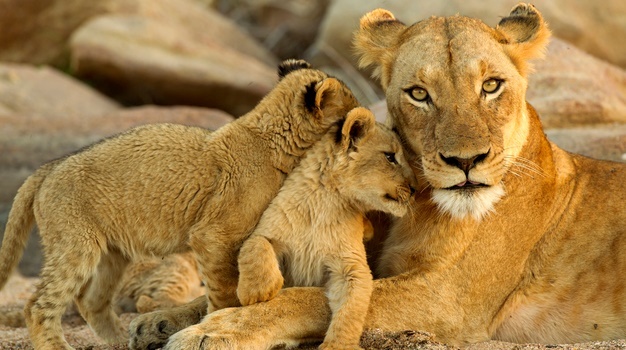 The Conservation Fee for SA residents is R83 per adult and R42 per child (between ages 2 – 11) and for international guests it is R331 per adult and R166. All guests (drivers and passengers) will be required to identify themselves upon admission (by producing a South African driver’s license, identity document or passport); please ensure you are in possession of one of these documents and have them ready.